In November Mark Humes Gallery began its video archive project. As an artist, the most important thing to me is that people see my art and it is for that reason I decided to take a small break from new art creation in December to pursue this Herculean task. Our standing catalog is about 500 works of art. At this moment 72 videos are complete with new uploads coming daily. Due to the sheer amount of work being covered, we have opted for creating short 16-second videos in a catalog style. These videos will be available on our Youtube channel as well as directly on Mark Humes Gallery under their product listing. My hopes for this project is that it will facilitate an ease of access to my work. 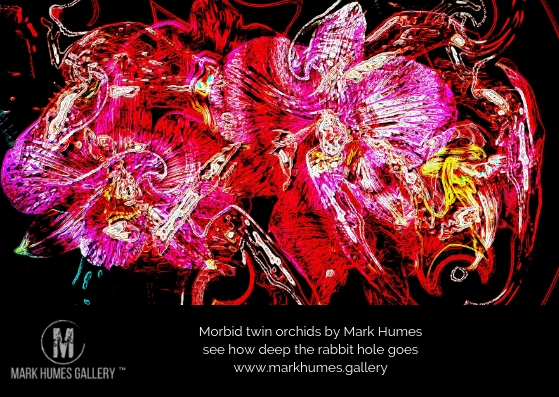 Mark Humes is a Digital abstract artist,author and the owner of Mark Humes Gallery. He continues to create works of art and art books to share his unique visions with the world. 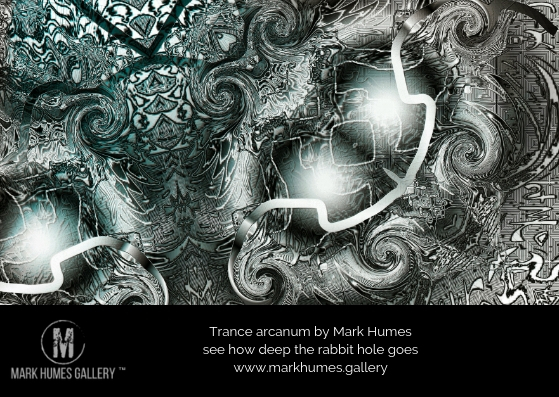 Mark Humes explains the mystical influences in his art.